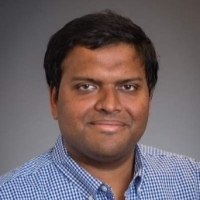 Sai Yamanoor has more than six years of experience as an embedded systems expert, working on both hardware and software design and implementations. He has worked on software development, hardware development including IoT implementations, sensory systems and PCB design, testing and deployment. Sai has also worked on various single board computer and microcontroller architectures including the Raspberry Pi, Arduino, Beagle, and beyond. His current interests include the implementation of Neural Networks and Deep Learning, with emphasis on the use of Microcontrollers and Single Board Computers for Edge Computing and AI. He is a co-author of two books on the use of Raspberry Pi to execute DIY projects, and has also presented a Personal Health Dashboard systems at Maker Faires across the country.